Transmission Headquarters offers transmission repair on all makes and models of both automatic and standard transmissions, foreign and domestic. In addition, we use only OEM parts, ensuring quality with every job we do. For your convenience we offer after hours drop-offs and same-day repairs when possible. We offer free estimates and most can be done while you wait. Transmission Headquarters has grown over the years by word-of-mouth from one satisfied customer to the next. Our future depends on overall customer satisfaction! 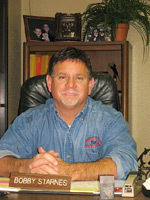 Since 1956, Transmission Headquarters has served the Fort Worth, TX 76112 area with superior transmission service. Our clientele has come to know and expect our personal attention and commitment to satisfaction. Featuring friendly, knowledgeable service from ASE, ATSG and ATRA certified technicians, our shop provides the professional services you need to get you back on the road in no time. Our experts have the knowledge to service and repair even the most challenging auto problems on all makes and models of domestic and import vehicles. We use the latest technology to assess the situation and offer you alternatives. We guarantee all of our work and know you'll be happy with the outcome. Stop in or give us a call at 817-451-0262 to let us know how we can help you!